I've still got difficulties to update this news part, even if there's a lot of new things to show since the last one. 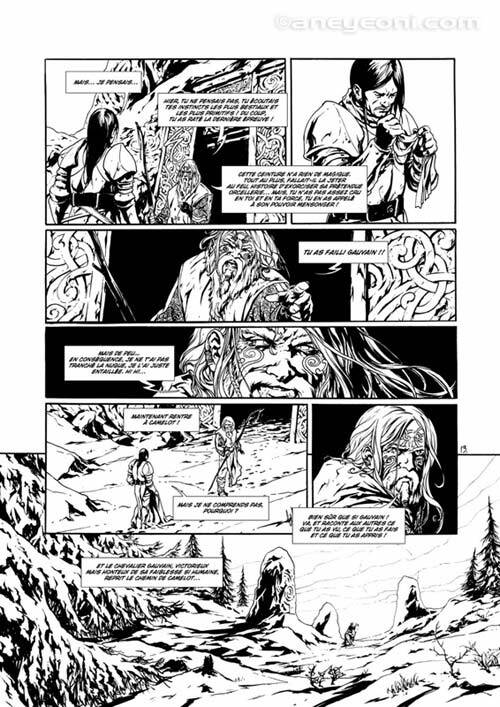 My other French comic-book about Arthurian mythology is also closed to be finished. 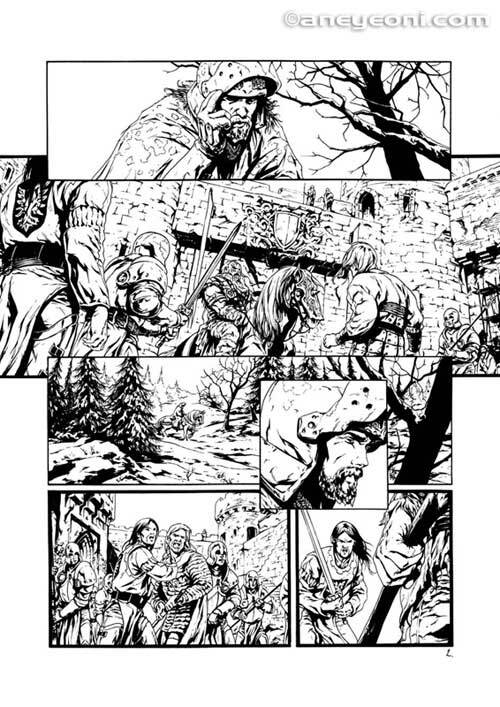 On this one I'm only pencilling and inking, with a more classical feeling. OUCH !!! Too much time since the last Update !! 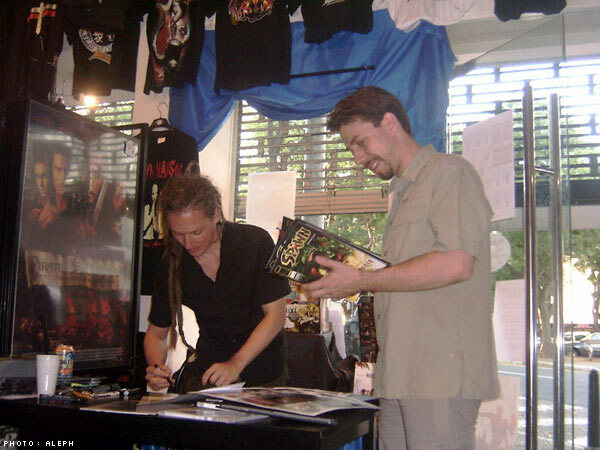 I’ve went to the Angoulême comics convention foor the release of my Spawn : Simony comics Tradepaperback. I’ve also done some different dedications date. 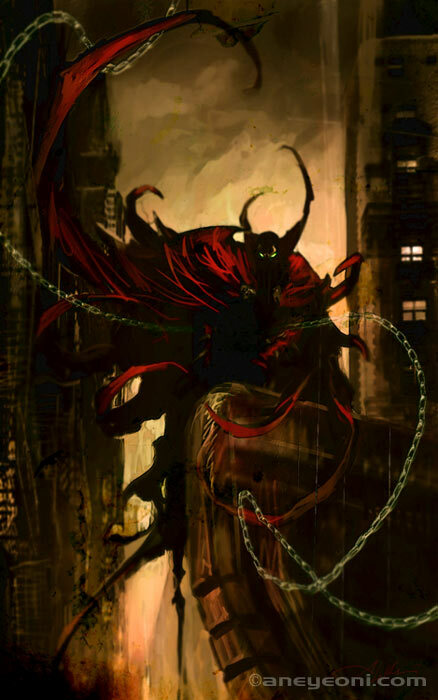 http://spawn.com/news/news6.aspx?id=12352 . One of the last issue of the PREVIEW catalogue use my illustration as a cover to present the project. Really flattering. 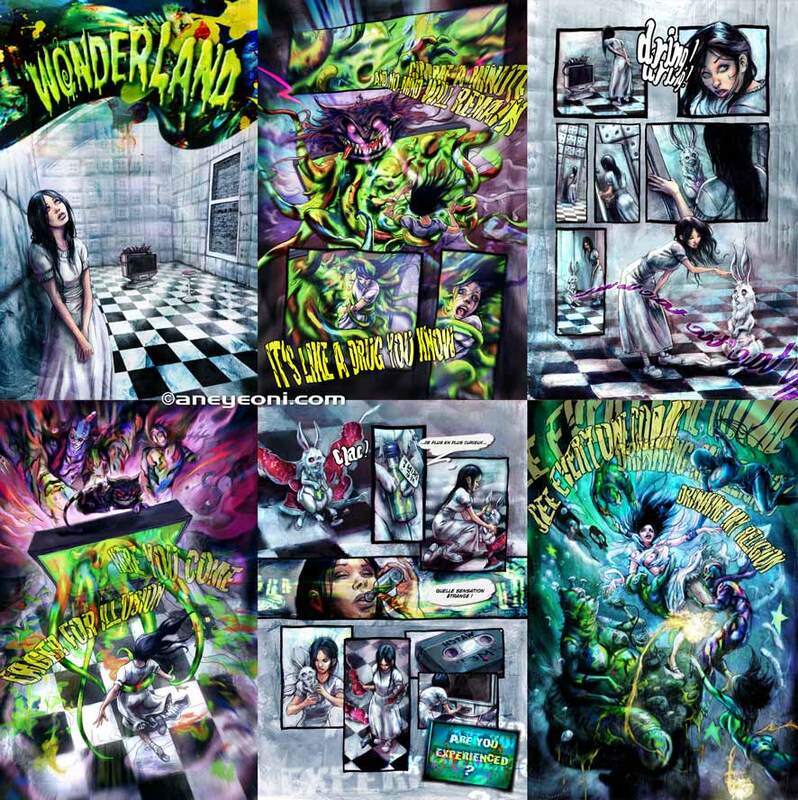 the release of a special comic-book related to a music band called Punish Yourself http://punishyourself.free.fr/ . 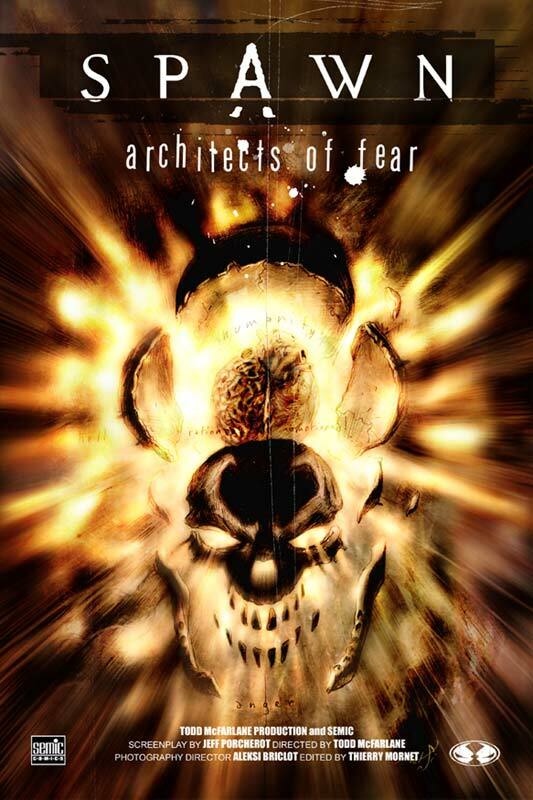 Apocalyptic punkindustechnodancecore music. Check their site to listen to some samples and discover this band. 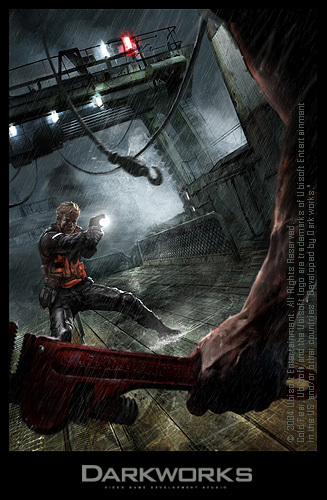 I’m working again for the videogame industry, for Darkworks company http://www.darkworks.com/ on a very interesting project…Some dark project I’m really comfortable with. I was bored about videogames, because of too much disappointments but it seems this game will be “really” released and will certainly be a good one !! And I’m working with excellent artists. I have already learn a lot of things and I’m sure in some months improvements in my works will be perceptible. 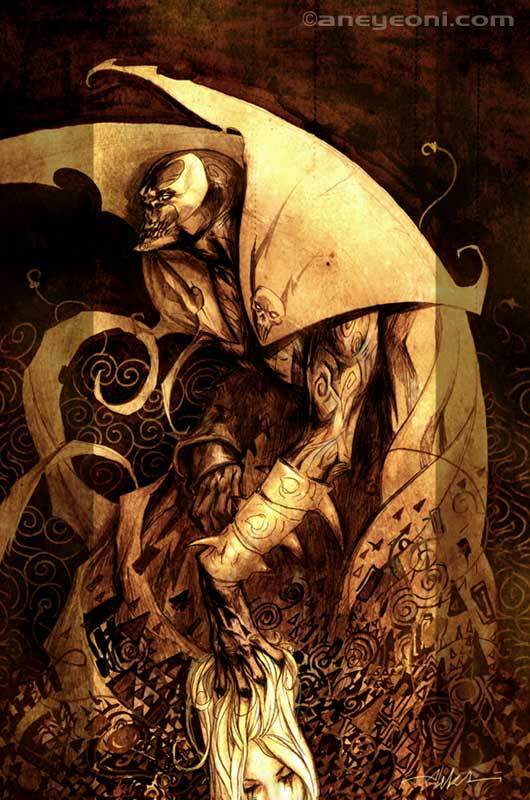 My Spawn episodes are now released in a French TPB edition (the US version will be ready in some months) and I’ll be at the Angoulême comics festival at the end of January for dedication. I’m also working for Wizard of the Coast for magic cards illustrations, some other RPG book cover and my other comic-book project is a little late because of all my other “assignments” but it will be finished in some months too. 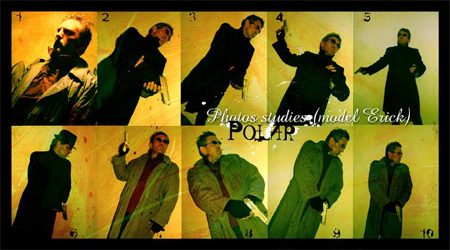 Thanks to ROD and ALEPH for the photos !! All my sincere thanks to all the teams in each shop and the people who came to see me there. I really had a good time !! 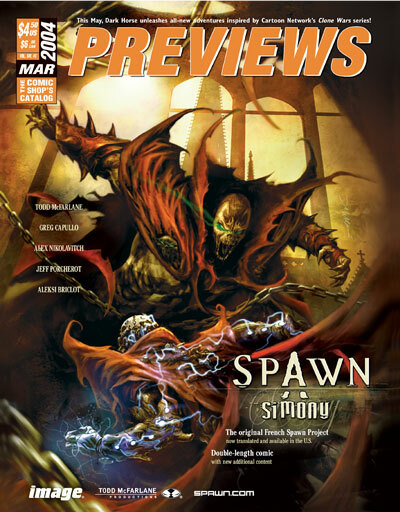 Still Spawn universe : he last French issue of the magazine Wizard uses another of my first Spawn illustration, the dustjacket I’ve done for the announcement of my Spawn mini-serie. 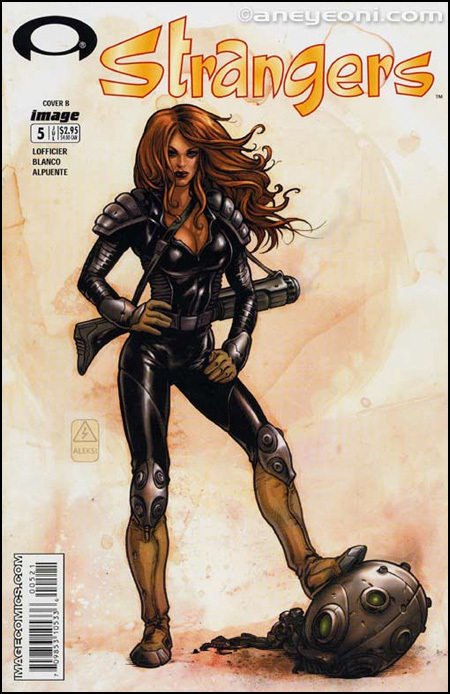 The second episode of the french Spawn mini-serie I was working on is now published and available. 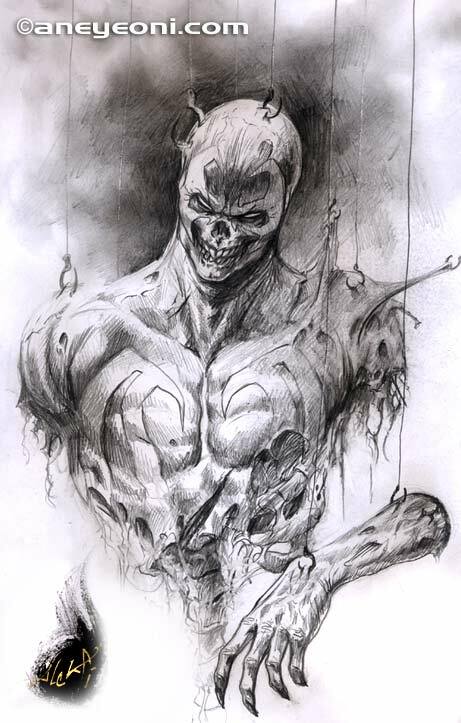 I’ve been working very hard for the last 3 weeks on my second episode of the Spawn comics and it will be available certainly next week in the French version first (Semic, Spawn issue 72). I’m very glad to have finished it. 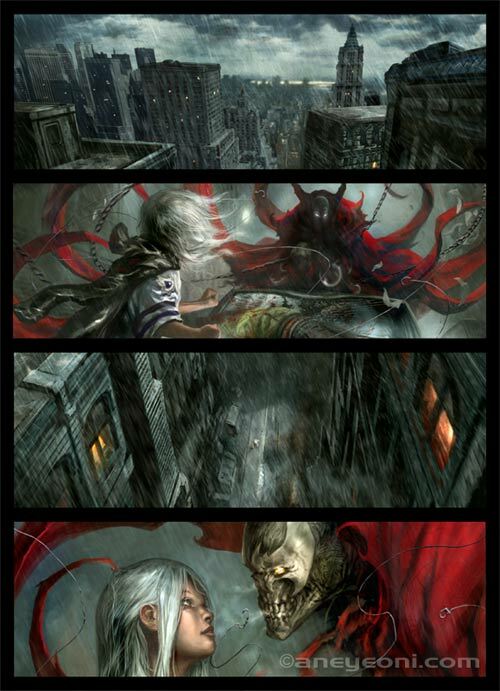 In my opinion, it looks better than the first part of the story, with more action, and more Spawn appearances. I’ve changed some parts of my creative process and I handle better the character (Spawn and the others) and this time I’ve also done the cover and some others interior illustrations. There will be also a wonderful guest’s illustrations gallery, with some exceptional artists but I’ll say more next time, when it will be released. I’m currently working on a special Spawn poster, which will be available in the “Bazar du Bizarre” comics-shop. I’ve done an alternate cover of the 5th american issue of “Strangers”, a comic-book published by Image Comics and created by the French publisher Semic. There’s a short story inside with Stéphane Roux's artwork, an amazingly talented French illustrator…Maybe one of the best artline artist I know and the back-cover is signed by another friend : Stéphane Louis ( this is the 6th issue’s cover) who’s still working on his own comic-book (look in my links page). 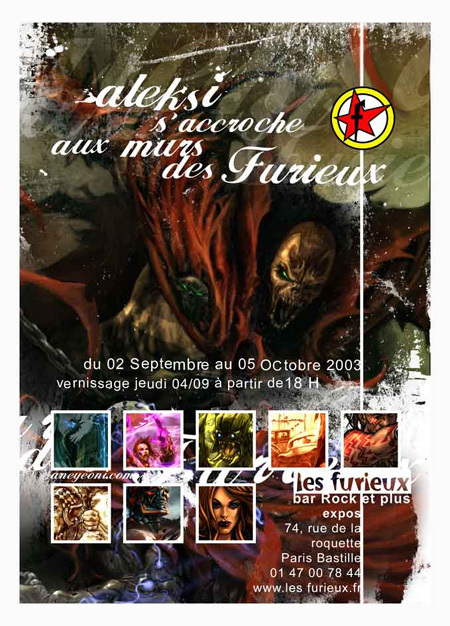 And least but not last :-), here is the poster/flyer I’ve done for a personal exhibition that will take place in two weeks at “Les furieux” ( that means ”the furious” ), a very nice place in Paris where I often go to have a drink, and sometimes more than one ;-). The “private view” is Thursday 4th, September 2003. You can come to have a look at the pictures hanging on the wall or simply to taste some cocktails and have some beers, maybe a more interesting thing :-). It’s also the bar chosen by the cafesale people for the occasional meetings. I hope to see there a lot of friends! The website is finally up and running. 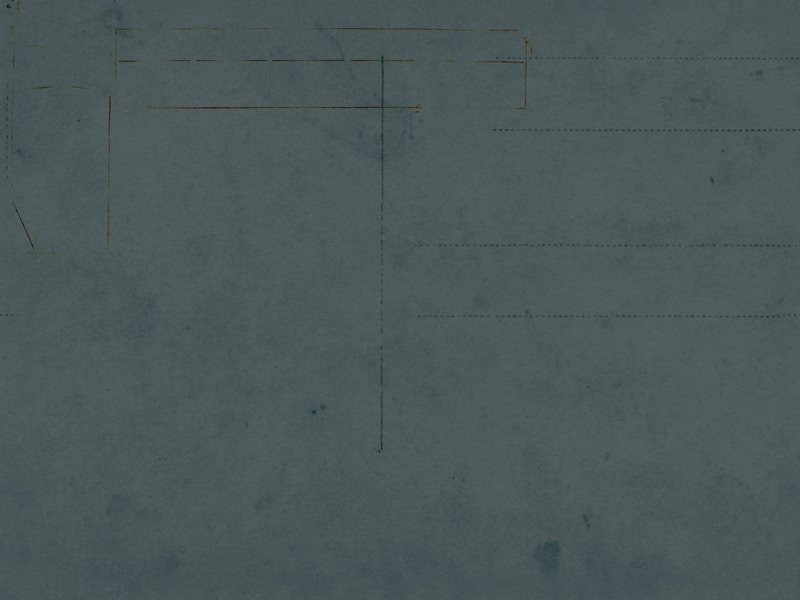 There are a lot of old stuff, but I think they are quite interesting to see, a lot of artwork are missing, but hey it's the first version of this site so you got to bear with it : ). Some categories are incomplete and I still got tons of cool stuff to show. 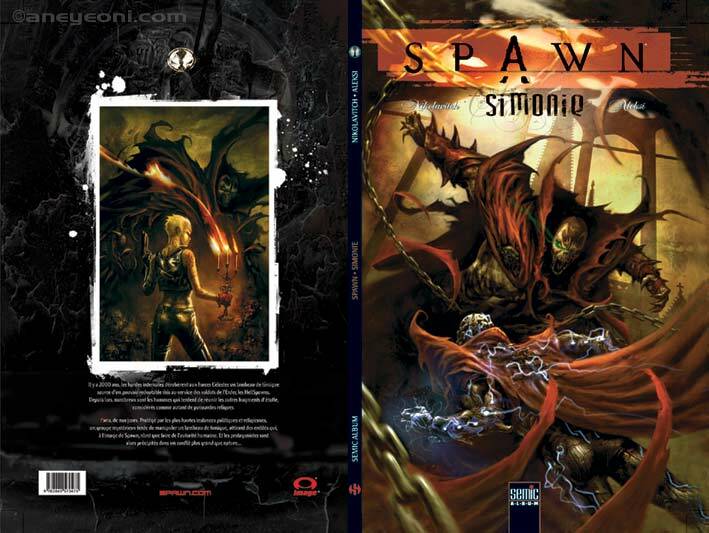 Spawn / Simonie Part 2 is coming out soon : ). As I said it before, it's just the first version, and this website would have of not seen the light if my friend walee did not push me to make one. He really did a great job webdesigning it for me. Soon you will be able to see more sutff, more artworks, more links and maybe read more of the incredible things that happen in my life :). But for now you just got to enjoy the small contents of my site. 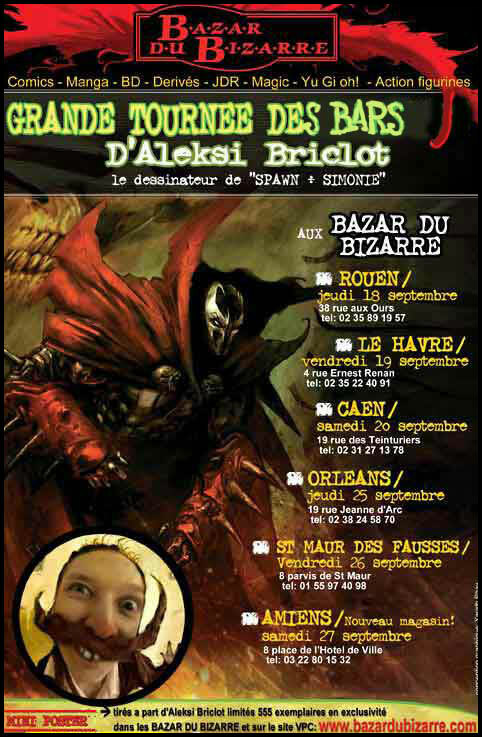 For those who live in france and who are interested in my Spawn stuff, here are the signing dates for my Spawn comic-book, in several comics-shops called "Bazar du Bizarre". 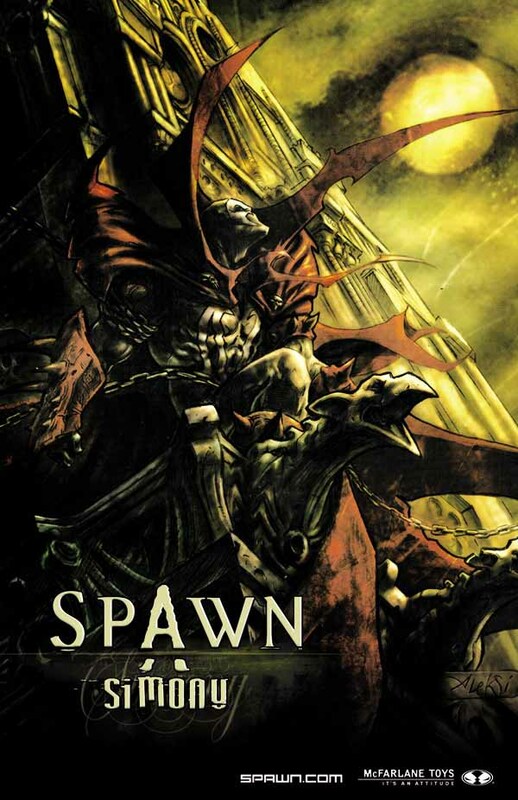 A special limited edition Spawn poster will be available at these shops.